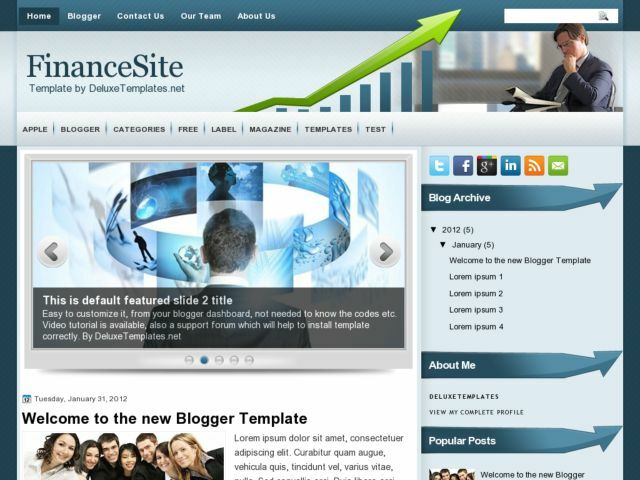 FinanceSite Blogger Template is free blogger template that uses the category of business or finance. This template is very neat and beautiful design, color combination of dark blue and light blue in the background really fits the style of the posts adjacent with the sidebar. Template features: 2 columns and sidebar is located on the right, slider menu ready, social bookmarking icons ready on top sidebar, auto label on the horizontal menu and more. This template is perfect for blogs about business, finance or it could be applied to office.